Elissa began her yoga journey in 2002 after a traumatic accident drastically changed her life. In 2012 she opened Nirvana Wellness Center. She truly believes if one aligns their body and gives it what it needs, they can heal themselves. Elissa teaches classes for all levels that is focused on breath awareness, during challenges specifically. She believes the yoga mat is like a training facility for life and all that we face. If we train ourselves to breath through intense situations on our yoga mat, it becomes habitual off our yoga mat and we think clearer and react more mindfully. She loves teaching beginners, privates, and specifically athletes to help them transform their bodies and minds to overcome weakness/asymmetry. Elissa is certified in Y12SR and started a yoga 12-step recovery program in New Jersey to help those suffering from addiction. She has been teaching for over 15 years and has many certifications. She is a Vedic Thai specialist and Ayurvedic practitioner and in the process of becoming a holistic doctor. "With the power of the breath, we can overcome anything." Marina began her inner journey with Yoga in 2005. Shortly after, she completed her 500-hour Yoga Alliance certification through Lotus Yoga Montclair. Her classes are infused with Buddhist teachings, which she was drawn to while on a trip through India and Nepal. As part of her journey in the healing arts, she has become certified in Pranic Healing, which she brings into her teaching to help restore and rejuvenate. Marina is certified in Y12SR, which weaves the ancient art and science of yoga with the practical tools of 12-step programs. Yoga continues to be a source of inspiration, enlightenment, and positive way of life. Marina's teaching offers a chance to reconnect with your authentic voice through self study, connection with the breath and vigorous vinyasa flow. Courtney has always lead a very active lifestyle and is always on the go and being pulled in many directions. After practicing yoga for 5+ years as way to calm her mind and body, she decided to become a yoga instructor herself. Courtney teaches creative, strengthening, yet calming Vinyasa style. When not in the studio, you can find Courtney outside running, biking, swimming, kayaking, anything to enjoy the outdoors. She also participated in her first triathlon last year and will be adding to her list of accomplishments this year with half marathons and more triathlons. Mary is one of Nirvana's very own Yoga Alliance 200 RYT teacher training graduates. Mary started her journey with yoga in 2008 and found that not only did she enjoy the physical practice of yoga, but the spiritual practice as well. Yoga has helped Mary learn how to live in the present, let go of the past and not rush into the future. She believes in a connection with the breath and the stillness of the mind, on and off of the mat. Mary decided to become a yoga instructor because she wanted to share the way yoga has changed her life with others. "Let it be. Begin again. Love hard. Live true." Julie is one of Nirvana's very own Yoga Alliance 200 RYT teacher training graduates. One thing you'll learn when you meet Julie is how important it is to never lose sight of who you are. After recovering from a car accident and surgery, Julie's husband introduced her to yoga and that is how she started her mind and body yoga journey. Julie believes it is not about your destination or measuring your progress; it is about who you interact with along the way. Her strength, determination and go-getter attitude creates a fun class where you can push yourself as much as you like, in a nurturing and hands-on atmosphere. Jooil is our top vedic thai practitioner and specializes in deep bodywork. "I am who I am, and you are who you are, everyday!" Arnaldo is one of Nirvana's very own Yoga ﻿Alliance 200 RYT teacher training graduates. Arnaldo began his journey to yoga through a love of physical fitness. He’s spent the last 5 years exploring and developing his practice both on his mat and in his life, and continues to do so in hopes of sharing that practice with others. Arnaldo teaches an open-level, challenging, powerful practice with dynamic vinyasa flows, drawing awareness to the breath and focus to the mind. Arnaldo is certified in Vedic Thai bodywork. Bianca is one of Nirvana's very own Yoga ﻿Alliance 200 RYT teacher training graduates. She began her yoga journey in 2012 and from her first class she immediately found her calling and passion. Bianca came to instantly love the combination of the physical demands of each session and how the mind, body and spirit become connected during the yoga journey. She continues to dedicate her practice to develop and evolve not only as a teacher but as a student. Her classes are challenging, but thoughtfully prepared with emphasis on combining movement with breath. In reminding her students of the power of being in the present moment, they learn to access a concentrated self-awareness and deep body connection. Through dedication and persistence she helps people reach their goals and empowers them through strength and wellness, all while having a little fun. Her gentle and loving way coupled with her lighthearted and fun personality is what people love about her. Her passion for yoga is not only on the mat. She loves to help and bring people in the community together. Irina specializes in restorative yoga and reiki. She teaches hot 26 and a fun upbeat hot vinyasa class. She believes that to practice yoga is to develop one’s strengths: in focus, energy, stamina, health, and overall positivity. Yoga is a way to uncover your greatest potential in all aspects of life. Jeanine has been practicing yoga for over 15 years. She first tried yoga as a way to get moving, shed some weight, and make her doctor happy. What she found was that it made her happy and that is what she truly needed. Yoga has helped her to be more mindful, grow stronger, more flexible, confident and peaceful. She completed her RYT 200 teacher training at The American Yoga Academy. She continues to pursue education and certifications in yoga, health, wellness and the healing arts. This provides her with fresh knowledge that inspires her teaching. Jeanine is a Ayruveda Specialist and does Vedic Thia Bodywork. She is forever grateful for the wisdom all of her teachers have shared with her. Her love of anatomy and physiology with breathing techniques, alignment, balanced energy and relaxation are what make up her classes. Jeanine wants everyone to know that yoga is for every body. "I teach because it makes me a better student, I study because it makes me a better teacher. I hope to see you on the mat." Robert became involved in Yoga in 2014 and quickly became aware of the benefits of the physical practice. Robert is one of Nirvana's very own Yoga ﻿Alliance 200 RYT teacher training graduates. During his teacher training he was drawn to the history & science of Yoga and living a Yogic lifestyle. Robert, a retired police officer, has enjoyed the benefits of Yoga in mind, body & spirit and his classes reflect that passion. He has found that practicing yoga has helped him work through many of the experiences he had in a twenty-five year career in law enforcement. Robert feels that “Yoga is the perfect evenness of mind”. His goal is to share the teachings of Yoga to benefit as many people as he can. His teaching style is to focus on connecting the breath to the movement to maximize the benefit of the practice for the student. He enjoys offering Vinyasa Flow, Hot 26 & other styles of classes to his students. Nicole is one of Nirvana's very own teacher training graduates from 2015. She studied communication disorders at Stockton University. She teaches a powerful vinyasa flow that focuses on breath and alignment. Wendy has spent her life as a fitness advocate and was blessed to find yoga after a traumatic life-changing experience. She quickly became hooked on the rigorous physical aspect of yoga coupled with the strong component of learning to harness and quiet the mind through the combination of breath work and asanas. In an effort to deepen her practice and bring yoga to others, Wendy obtained her teaching certification through Yoga Impact and is a RYT with Yoga Alliance. She designs her classes to be challenging with a strong emphasis on proper alignment. She continues to deepen and expand her practice in order to share her knowledge with her students and believes the practice of yoga is a life long journey. “Yoga is about cultivating patience, not frustration." Maggie loves the spiritual and physical practice of yoga. Viewing yoga as a healing art is what originally attracted her to the practice, and shortly after starting she knew she wanted to know more. Enrolling in the Magic Pond International Yoga School in Seoul, South Korea, she completed her teacher certification in 2011. When the opportunity came up to practice at an ashram in Rishikesh, India, "world yoga capital", she couldn't resist to learn more about this ancient tradition. The journey always continues, and she happily encourages you to embrace yours, whether on or off the mat. Magdalena is a massage therapist and Esthetician that specializes in natural and organic skin care. Jackie is one of Nirvana’s very own Yoga Alliance 200 RYT teacher training graduates. Her yoga journey began in the Fall of 2012 at the same time she was enrolled through the Institute of Integrative, as she was training to become a certified health coach. While in school, she had included on her “bucket list” to give yoga a try. Jackie’s first yoga class was at Nirvana with Elissa, the owner of the studio. She was immediately hooked! She transitioned from most days working out at a gym to replacing her fitness workouts with her daily yoga practice. 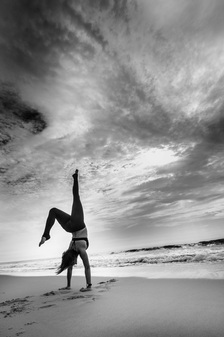 In time she grew to appreciate way more than the physical asanas and learned that yoga offered a mind body connection that she had never experienced before. Jackie teaches a challenging and creative vinyasa flow class. She believes in a holistic approach to life and feels that everyone can benefit by introducing yoga into theirs. Carrie began her yoga journey in 2009; in 2017 she completed her 200-hour teacher training with Raji Thron at Yoga Synthesis in Ramsey, New Jersey. Carrie, is a mother of 3, and leads a busy life as a full-time corporate executive in Manhattan. She is a dedicated yoga practitioner and personally commits to practicing 6-7 days a week. She continues to attend workshops, and regularly studies with various teachers. Carrie’s dynamic teaching style incorporates different teaching methodologies from various yoga lineages. Her breath–focused, Vinyasa classes are thoughtfully prepared, using intelligent sequencing, and creative transitions. She places a strong emphasis on tuning into the healing and inspiring nature of practicing within a community setting. Carrie brings an authentic and passionate voice to each class as she guides her students through a journey of inward reflection & self-discovery. Nicole is an E-RYT 200, YACEP, Personal Trainer, Nutrition Coach and Advanced Buti Yoga Instructor. She is the creator of the SoulFire Method® and SoulFire TRI.I.BAL Flow® now offered at Nirvana. Nicole’s approach with students is to inspire them to develop a deeper understanding of not just how their body should move, but WHAT moves them and WHY. She lets her authenticity, non-judgmental teaching style and passion for exploring creative sequencing and dynamic flows shine throughout every class. You can expect an energetic, powerful and sweat worthy practice fit for all levels with thought-provoking mantras weaved throughout. Nicole also leads Nirvana’s 200HR Yoga Teacher Training. Off the mat, Nicole is a homebody! She loves spending time working in her 1300 sq ft garden and spending quality time with her family and friends. Jessica realized how important health and lifestyle design were when her whole life was thrown off balance after giving birth to twin girls in 2013. Today, as a Holistic Nutrition Practitioner studying for her second master’s degree in Health and Wellness from the American College of Healthcare Sciences, Jessica can understand your situation, think critically to find solutions for your biggest challenges, and ground everything in the best of holistic techniques. She understands how overwhelming a busy life can feel, and will work alongside you to find the best path to integrating a healthy lifestyle into the life you have already designed for yourself. Jessica's services utilize real food and lifestyle design to help you find wellness and balance.